I love Earth Day. 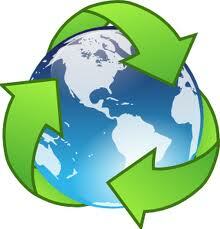 Began in 1970, Earth Day was started to draw attention to the damage we are doing to the earth and how we can stop it. Now celebrated around the world, the day is a celebration of the awareness of the love and care our planet needs to be healthy for generations to come. I truly believe that it is our duty to educate our children and grandchildren, and show them ways to honor our Earth with care. This is done on a daily basis, and not just once a year. I have made a pledge to do 5 things everyday and to share them with my 4 young grandchildren. 1. To stop buying bottled water. The amount of bottles not recycled is shocking and they end up in landfills. 2. To recycle all glass, plastic, and paper products. I have been recycling since I was a teenager, and I want to pass on the importance to them. 3. To use green or natural products to clean and wash our clothes. Harsh fumes are toxic to our health. 4. To support companies that make products out of recycled products. 5. To make a small donation each month to The Rainforest Partnership or any organization that helps to protect the earth. Collected change adds up to dollars to donate. Earth Day is April 22. How are you spending the day? If you live in the Seattle area, there are dozens of things to do to celebrate. From the University of Washington's Earth Day Fair, to the Seattle Children's Museum's educational programs, we can all get involved. To me, Earth Day means celebrating this beautiful planet that we all share.